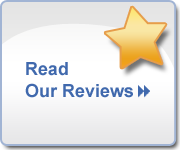 Coast to Coast Gutters, Inc. | When Should You Upgrade Your Gutters? When Should You Upgrade Your Gutters? Gutters are designed to last as long as possible, taking some of the most damaging aspects of a storm, water, away from your home. Years later, your gutters may be showing signs of wear, requiring maintenance or even an upgrade to newer gutters. The wear they experience can be related to the climate you are in and the type of weather environment they are exposed to, the quality of the materials they are made of, and the quality of the original installation. Inspecting your gutters periodically will help you identify if you need to replace your gutters of if they need maintenance, and is key to determining when you should upgrade your gutters. Although some circumstances can’t be helped, there are steps you as a homeowner can take to help keep your gutters in top shape. The main reason gutters decay, sag, or begin to leak, is that they are clogged. Gutters filled with debris, leaves, trash, dirt, and various other items that don’t wash out naturally cause water to overflow. It can back the gutters up, causing excessive weight on the gutters, making them sag and eventually fail. If you don’t have a protective topper on the gutter to help keep larger items out, make sure the gutters are cleaned out at least once a year. This can be done yourself but a professional is always recommended- this is not a safe procedure for most homeowners. Make sure you are cautious- a great deal of injuries occur while working with ladders. But, cleaning the gutters helps keep the gutters working as designed, prolonging their life. Coast to Coast Gutters can help you with this! Inspect the gutters from every angle possible. 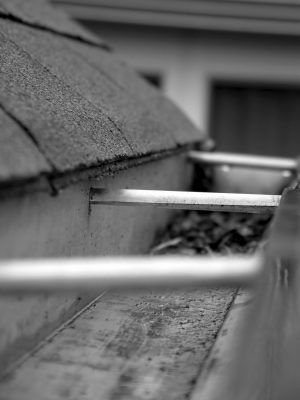 Look for signs of rust in galvanized steel gutters, especially at the bottoms where water can pool up. Look for splits or sections that are sagging. Make sure you also inspect them while it is raining. This will help you spot any leaks, saggings areas, or overflow. Make sure they are doing their job, moving rain away from the home foundation. 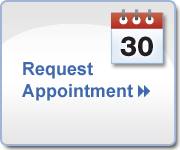 Evaluate any issues you might find during these inspections. Are they severe enough problems that you will need new gutters entirely? Can the issues be fixed easily? Do you need a professional to advise you? Each case is different, but Coast to Coast Gutters can help you perform these inspections and get your gutters back into shape. Pay attention to your gutters, how well they are working, and the condition they are in. Becoming aware of any issues, you will be able to take care of them before they become larger issues or damage your home’s foundation. A little bit of prevention and maintenance can protect your home from damage down the road, no matter what Florida weather throws at you. Local Business vs Box StoresWhy Are Gutters Made From Aluminum?